Let's face it, nine dollars isn't what it used to be. Nowadays, it's hard to go into a store or restaurant and get lunch and a drink for under nine dollars. Nine dollars of gas might get you three gallons on Kauai. Nine dollars might get you a pupu at a local restaurant. You could probably even buy a beer during happy hour on the island, but it would be hard to find a place where you could buy two beers for nine dollars. Well, I'm going to help you out. Part of me doesn't want to give up this information because I like being able to go to this place whenever I please and not have to fight any crowds. So against my better judgment, I'm going to share with you the best nine dollars you can spend if you have a couple hours to kill or you enjoy golf. I'm talking about Kukuiolono Golf Course located in Kalaheo, HI. The greens fees are only nine dollars. Yes, you read that correctly. Nine dollars in cash (cash only) gets you on the course and playing golf. I moved from San Diego and the only other place that came close to this was on base with a Military active duty ID card. And even then I think it was somewhere between $10-$13. 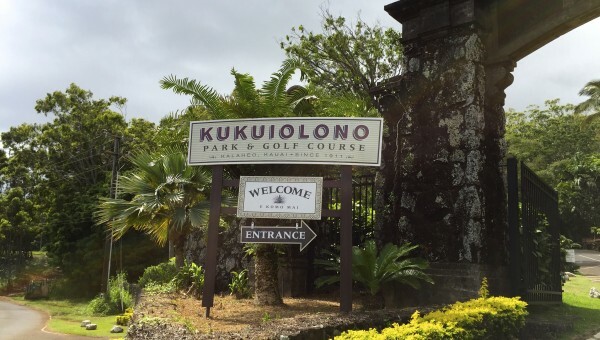 At Kukuiolono you can play nine and go get a beer at Paco's Tacos (the restaurant at the course), or you can go around again on the 9-hole course to play 18. Still the same price. And for this price, you still get ocean views and great scenery. And if your golf game is like mine, then saving money on the greens fees is a good idea until that handicap comes down. Nothing worse than paying $120+ to play on a course and feel like you want to throw your clubs in the ocean at the end of 18. Another great thing about Kukuiolono Golf Course is that if you want to just hit some balls on the driving range, that will cost you two dollars for a bucket of balls. You hit off a hill that has some amazing ocean and sunset views. They also have signs with yardage so that you can get your distance honed in. Every time I go to this course I can't believe the value. Every time! Just another reason why Kalaheo, HI is a great place to be. The value that the golf course has is the same value that a lot of homes in the surrounding area have. A lot of homes have expansive ocean views. There are still a bunch of lots for sale where you can build the home of your dreams. The tradewinds flow heavily through the neighborhoods and the area is a great place to raise kids. 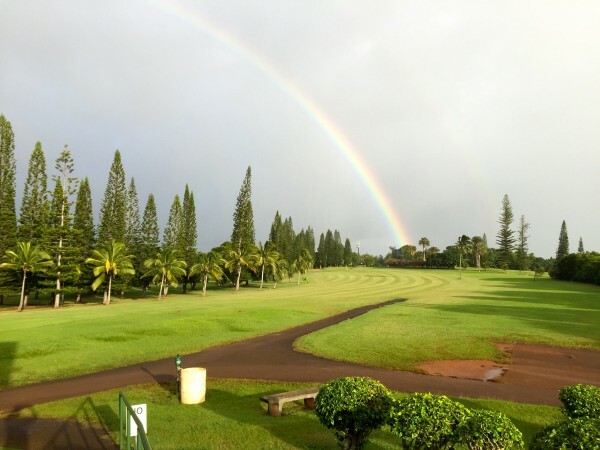 If you like golf, rainbows, and living in a nice area, then Kalaheo is a great option. For any questions about buying or selling property in the Kalaheo area, please contact me. I will do my best to get you the information you need and to help you any way I can. Until then... FORE!! !